Lately, Baraka goat’s milk powder has grabbed my attention. 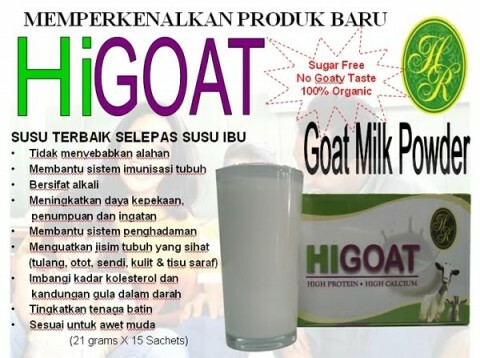 The packaging features a Malay woman in hijab, which shows this goat’s milk is clearly aiming at the Malay market. Goat’s milk is popular among Malay consumers. Goat’s milk’s nutritional value is recognised by Prophet Muhammad and is included as part of the Sunnah Diet along with olive oil, date, honey and other ingredients. Goat’s milk is known for being low in lactose, does not cause allergy, easy to be digested, the best milk after mother’s milk and high in nutritional value. 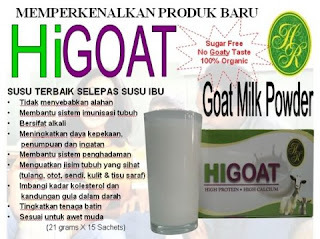 There are many similar products in the market claiming goat’s milk is good for health because it follows the Sunnah dietary requirement of Prophet Muhammad. Goat’s milk is also marketed as the best milk after mother’s milk. See the example of HiGoat. 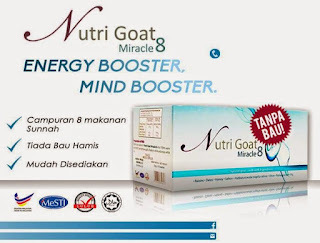 Among the claims made about HiGoat are good for digestion, alkaline, improve memory, enhance the immune system, prevent erectile dysfunction and low in sugar. Most of these goat’s milk products are sold through multi-level marketing. 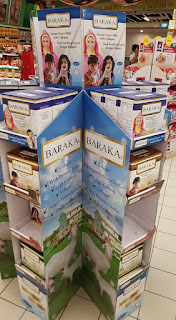 The company behind the Baraka product, Mozac Medicare Sdn Bhd, sells its products through a wide range of channels including direct sales, agents and online. Recently, it has made Baraka available in the modern trade channel such as Giant and Cold Storage as it goes mainstream. The goat’s milk comes from the Netherlands. Goat’s milk has become a trend in Malaysia as companies capitalise on the nutritional benefits of goat’s milk and the Sunnah diet to popularise a wide range of goat’s milk-based products including powder, supplement and cosmetics.